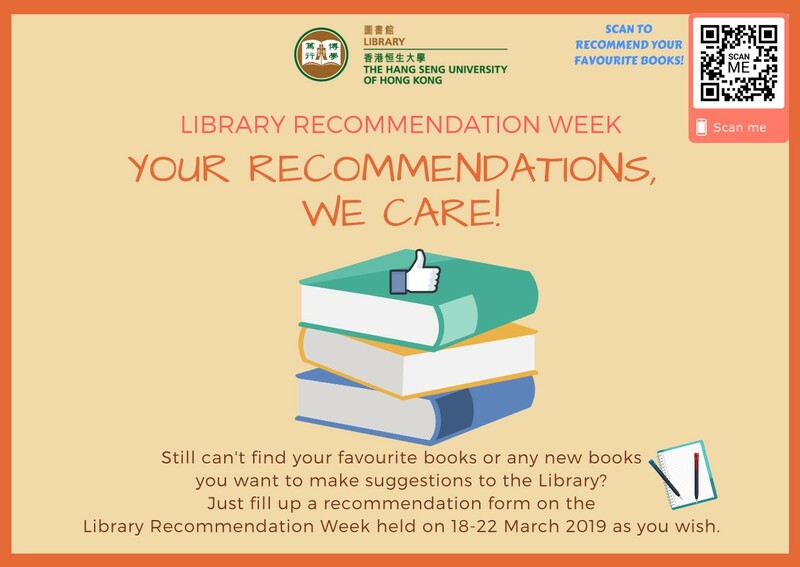 The Library Recommendation Week commences in the week of 18 March 2019. Please take this chance to suggest any book items you want by simply filling in the form. The more books you recommend, the more extensive our collection is!